Update 3/6/17: It appears as part of their recent redesign, LinkedIn has moved most of their advanced search features to their premium Sales Navigator plan. 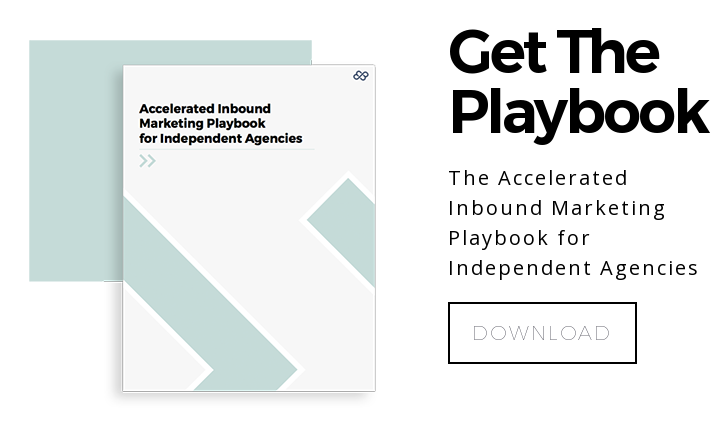 Although it will run you $65 to $80 a month depending on your plan, we still think there are few better ways to prospect based on firmographic data. Finding new clients has never been easier. 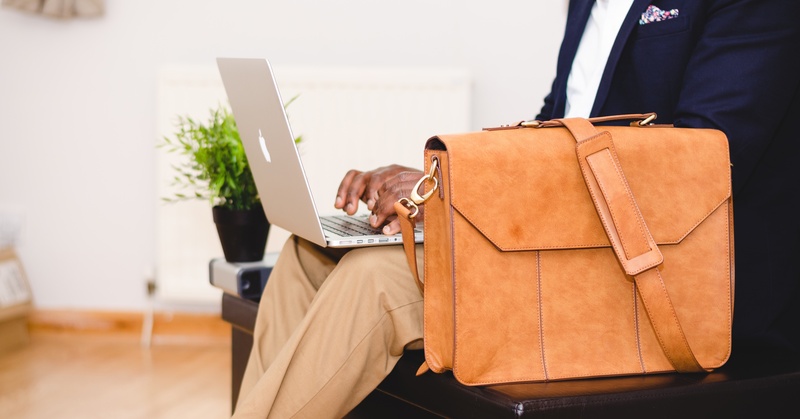 Whether you’re a freelancer, a consultant or a brand, the internet is a wonderful place for B2B brands to reach out to that ideal client criteria list you made. In fact, you can do it from the comfort of your computer; you can even amplify those little efforts with a credit card. You just have to know where to look (and how). If you’re a B2B brand, you know the best place to start finding new clients is LinkedIn. As the social network for B2B professionals to cultivate relationships and leads, LinkedIn is a massively useful database that contains all the contact information you need to turn that ideal client into a real one. Want to know how to find new clients on LinkedIn? Look no further. Quoted searches: For an exact phrase, enclose the phrase—without stop words like “by”, “in”, “with” etc.—in standard quotation marks. So when searching for a product manager, type "product manager”. NOT searches: You may want to exclude particular terms in a search query. Type that term with an uppercase “NOT” immediately before it. Type “marketing manager NOT content”. OR searches: You may want to include one or more terms in a search query. In that case, separate the terms with an uppercase “OR”. Type “sales OR marketing OR project manager”. AND searches: To narrow down results, use AND searches to include two or more terms in a list. Use the uppercase word “AND” as a separator. Type "manager AND director". LinkedIn functions well enough without AND searches, but it’s helpful nevertheless. Parenthetical searches: Standard search formulas are more complex than OR, AND or NOT searches. To do a complex search, you can combine terms using parentheses. For example, to find people who have "Manager" in their profiles, or have both “marketing” and “division” in their profiles, type "Manager OR (marketing AND division)". Searching for companies on LinkedIn can help you scope out what the company does and what you may be able to do for them. On the free and basic version of LinkedIn, there is no option for advanced search when you are trying to find companies. However, there are still a few filters you can use to narrow your basic search. Relationship: See the friend-of-a-friend-of-a-friend explanation. Location: Again, this is the filter you use to sort companies by country, region or metropolitan area. Industry: The most popular industries here are Information Technology, Financial Services, Retail, Oil 7 Energy and Higher Education. Fortune: If you’re looking to filter by revenue/how much money a company may make, you’ll want to use this function. It breaks into six groups: Fortune 50, Fortune 51-100, Fortune 101-250, Fortune 251-500 and Fortune 501-1000. Of course, the real prospect of LinkedIn is being able to connect with influencers and decision makers who will end up hiring you or your company for your services. For that, you’ll need to learn how to use LinkedIn’s advanced people search. LinkedIn’s advanced search gives you an incredible way of identifying the exact type of people who you are targeting. At the top of the site, click the “Advanced” link next to the search bar and from there, you can further filter the results of your search query. Relationship: Business is all about who you know. LinkedIn measures who you know via connections. A first connection is a mutual connection. A second connection is a connection of your first connection. A third connection is a connection to your second connection. Think of it as a friend of a friend situation. If a person is your second or third connections, you’ll have a common link that can serve as a basis for reaching out. Title: In B2B sales, you’re typically targeting the same level of employee and employer in each company, which is why it is particularly useful to add a title filter like CEO, Business Analyst, Marketing Manager, etc. Industry: Use this filter to make sure the results are relevant to the industry in which you sell to instead of your industry. Location: Use this filter to ensure that these contacts are in the right region of your ideal client. You can filter by country or metropolitan area. This is very helpful for companies who wish to build business in particular regions or countries. Seniority Level: 49 percent of key decision makers use LinkedIn for business purposes and you will want to find them here. This filter is determined by the position level members holds at their current company. Function: Probably the most powerful advanced search filter, LinkedIn calibrates the job titles and categorizes them into standard functions and departments. This is excellent if you are trying to contact a few different departments inside a company. Years of Experience: This takes into account a person’s total years of experience working, not just industry or company. It’s up to your company if they want to upgrade to LinkedIn membership. It’s not all-inclusive; they’d need to purchase a separate membership for hiring purposes, for instance. 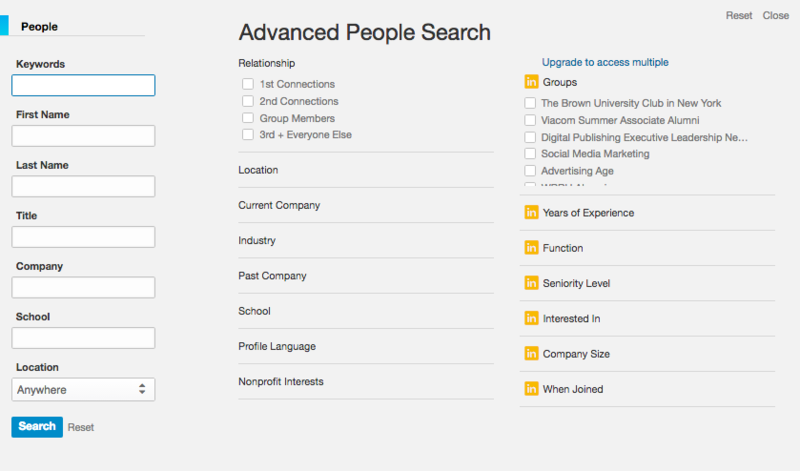 But even without the upgraded LinkedIn membership, you have a great filter for narrowing down your search.